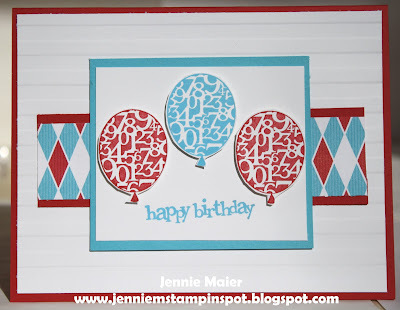 I used the Clean and Simple Stamping Sketch#178 here. I obviously took it very literally in making my nephew's card. 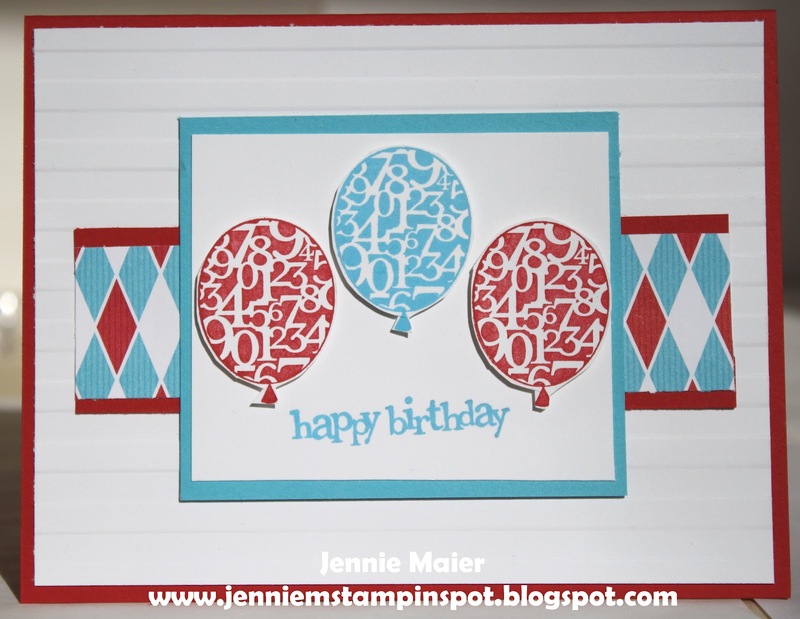 Party This Way is the stamp set and again used Big Top Birthday DSP. I finally got a chance to stamp! I had to make my nephew's birthday cards so I was kinda forced to, but I sure don't mind! My absence is due to the fact that I got a part time job. It's nice to have an extra paycheck, but it really leaves little "me time". So bear with me while I adjust and find time to stamp. 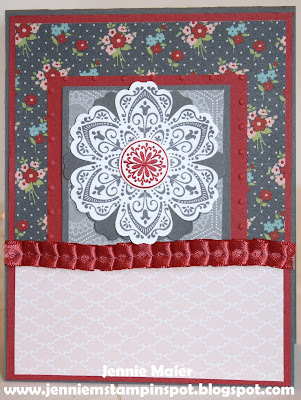 I made this card using the Splitcoast Sketch#371 here. 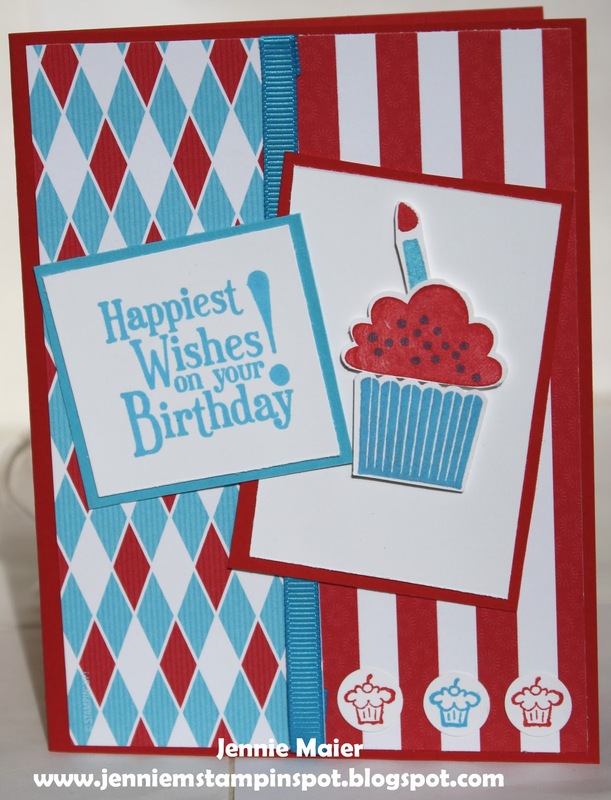 I used the stamp set Happiest Birthday Wishes along with the Big Top Birthday DSP. Happy Birthday Jack & Brady! I used the Splitcoast Sketch#370 here for this card. Mixed Bunch is the stamp set and the papers are from the Twitterpated DSP, all in the Occasions Mini. 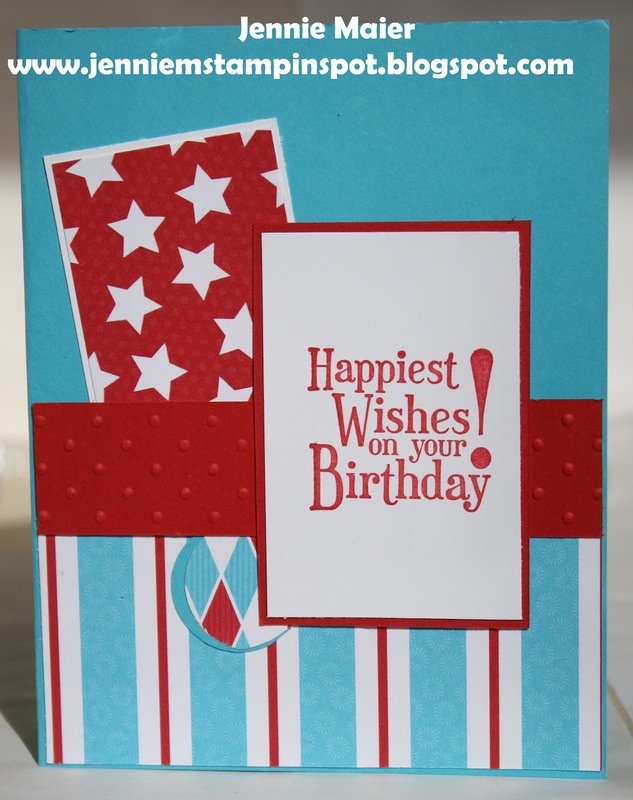 Here's a bright birthday card I made using the Stamping 411 Sketch#240 here. 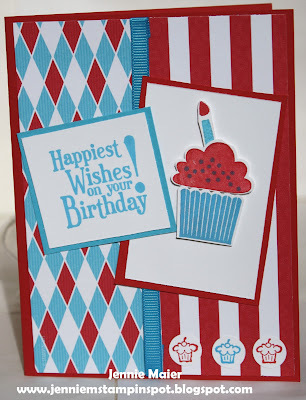 I used the Create a Cupcake, Happiest Birthday Wishes and Short & Sweet stamp sets with the Big Top Birthday DSP.